Nothing brings me more happiness than being the company of family and friends. Well, maybe except for being with them, sharing stories, over good food. And this Christmas, I’m happy to share that one of my favorite restaurants in Quezon City has something ridiculously good for everyone. Something classic, comforting, and hits right home. Say hello to the Empacho Restaurant Christmas Potluck Menu! I love tasting different cuisines but good Filipino food will always be my comfort. 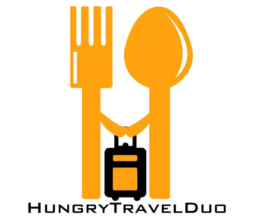 So this year, why don’t we explore our own local palate? 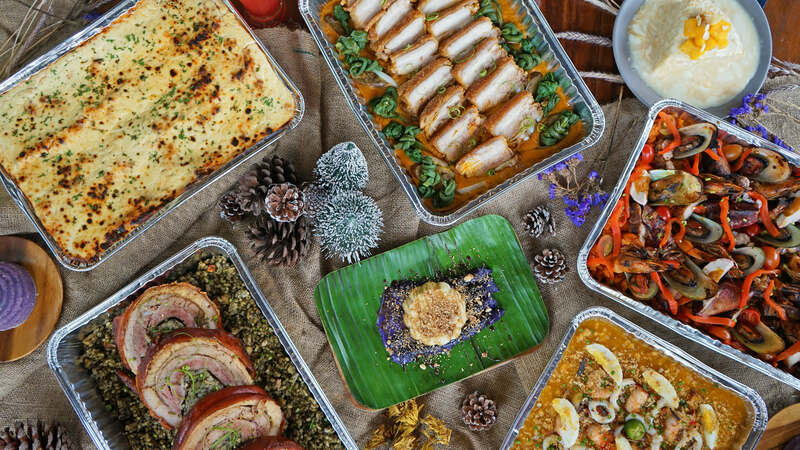 Go for Empacho’s Christmas Potluck Menu! 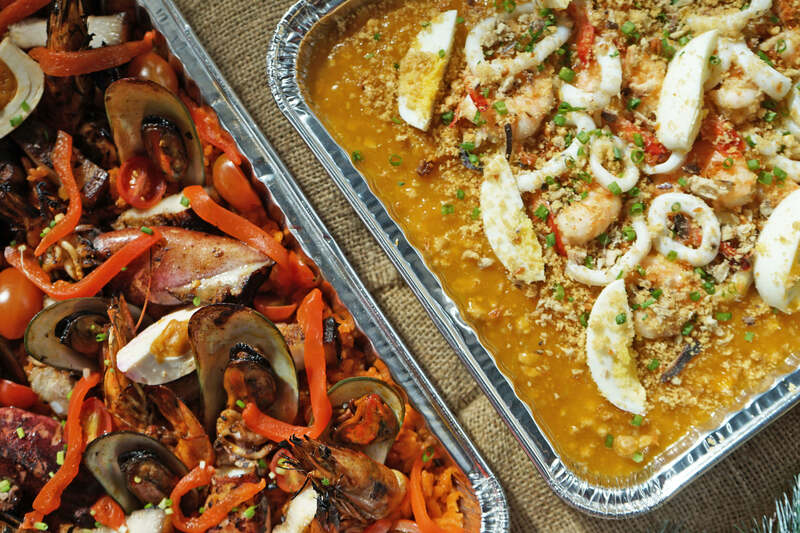 Craving for something savory? Go for Empacho’s Crispy Pork Kare-Kare. Love something really meaty? 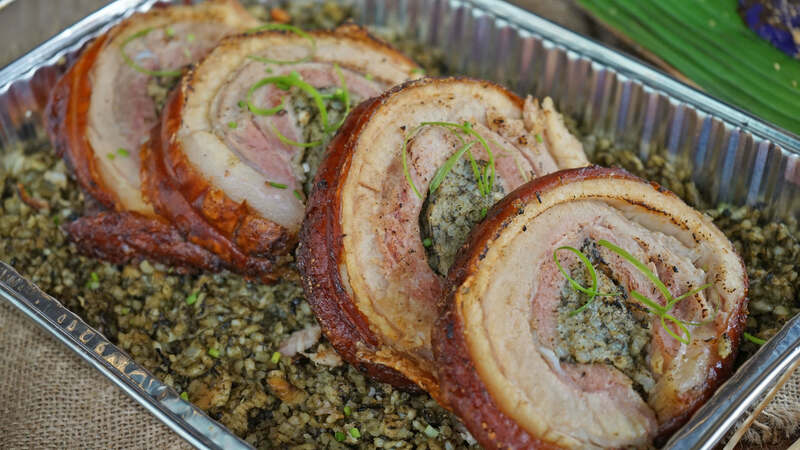 Go all out and savour on the Lechon Stuffed Truffle Laing Rice! Got kids? I’m sure Empacho’s Classic Lasagna will be a sure hit! 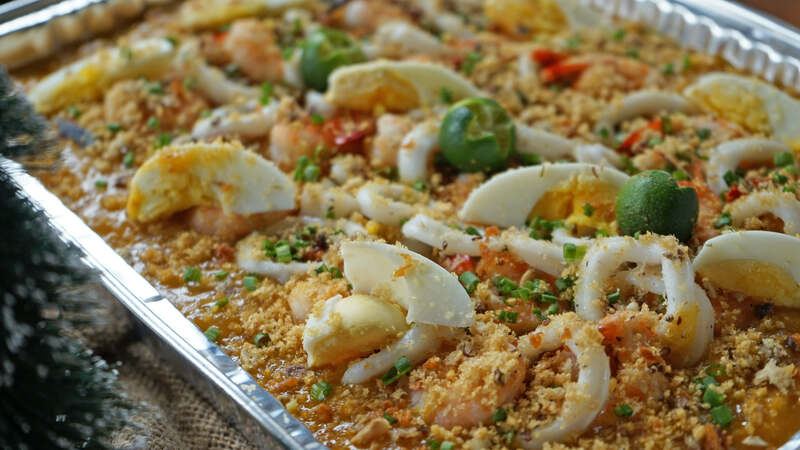 Empacho’s Special Seafood Palabok – Saucy and generous in seafood toppings. Best eaten warm! 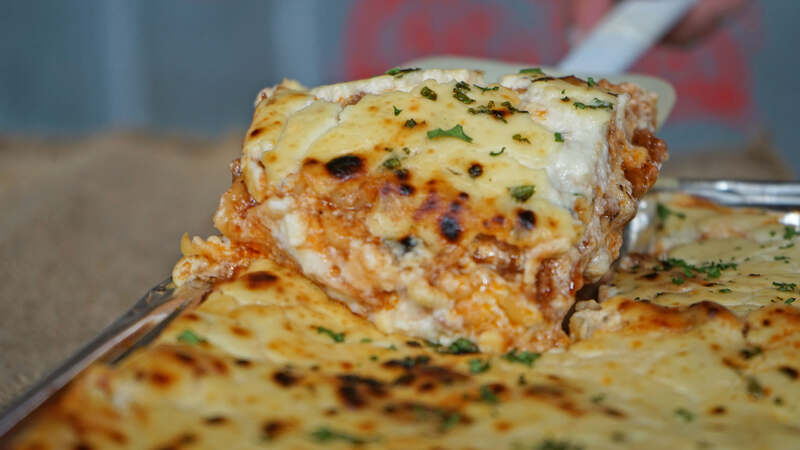 Classic Lasagna (Php 1,500.00) – HTD Favorite! Empacho’s Classic Lasagna: Meaty, cheesy, and oh so yummy! One of the best I’ve had in the metro! 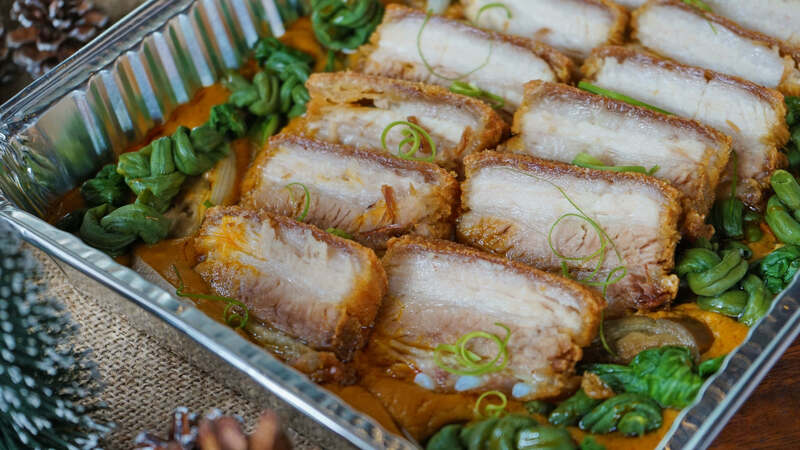 Crispy Pork Kare-Kare (Php 1,650.00) – HTD Favorite! Crispy Pork Kare-Kare (Empacho). Loved the real peanut-buttery taste of the sauce and the savory crispy taste of the pork! 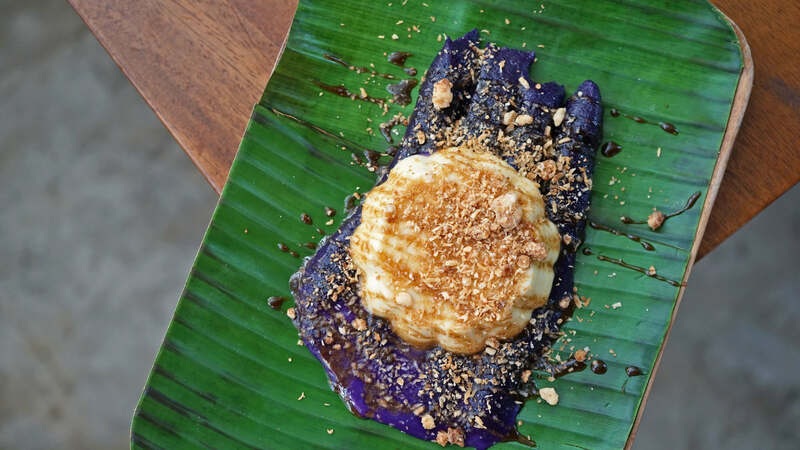 Go big or go home with Empacho’s Lechon Stuffed Truffle Laing Rice. Loved the lechon-bisaya taste of this one, best eaten hot and fresh! 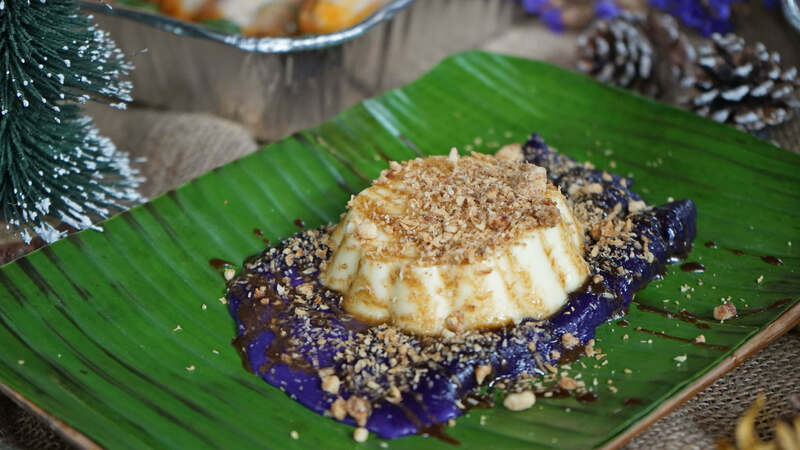 Puto Bumbong (Php 150.00) – HTD Favorite! 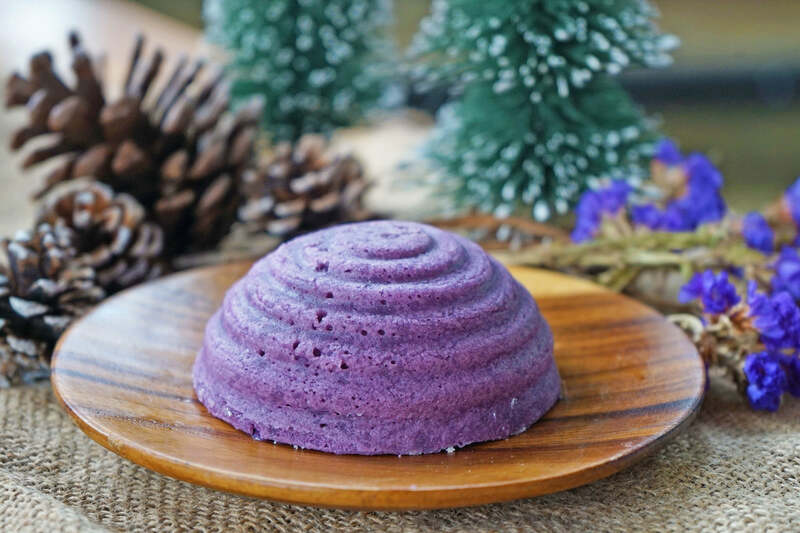 Dive into the Christmas spirt with Empacho’s Puto Bumbong! Soft (almost tikoy-ish) galapon topped with a sweet and delicious caramel custard. UBER SA SARAP!!! 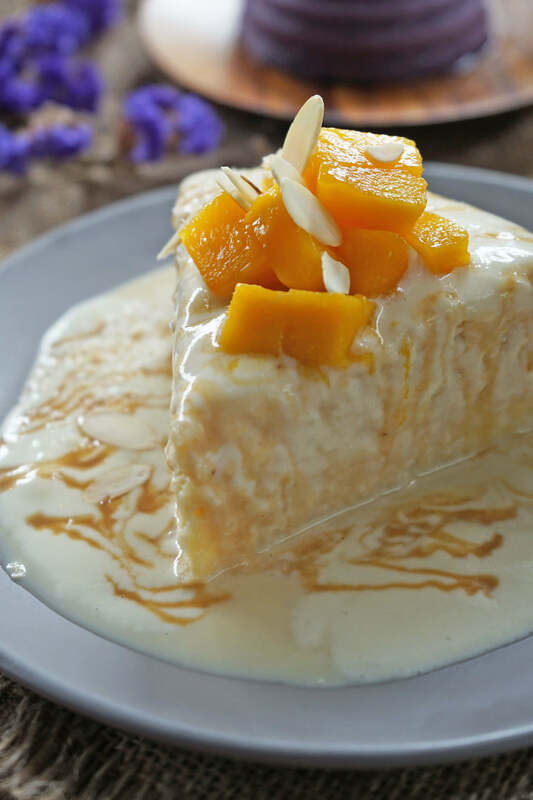 Mango Tres Leches (Php 250.00) – HTD Favorite! So what are you waiting for? I know I got you all salivating for those Christmas party trays. The Empacho Restaurant Christmas Potluck Menu is available from now until December 31, 2018. They deliver, just make sure you order 2-3 hours in advance! 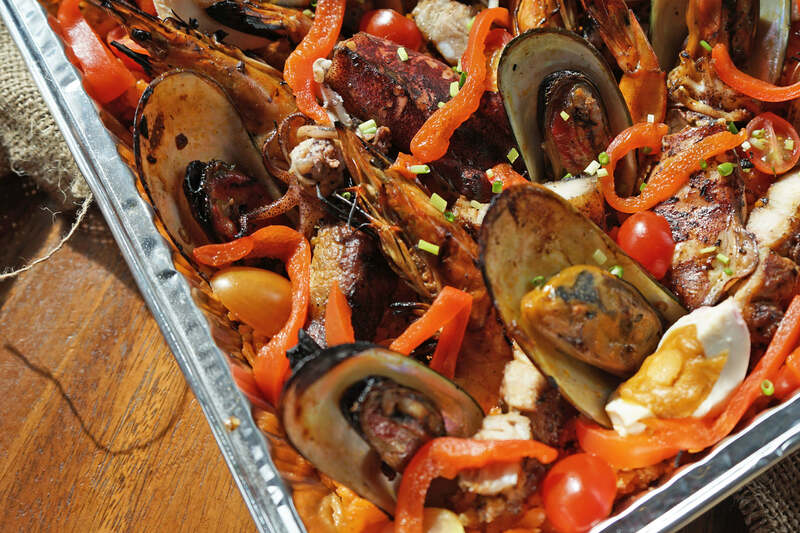 Call now to order for pick-up (02) 624-2676 or (0917) 467-1816. Or check Empacho Restaurant’s Facebook Page or Instagram Page (@empacho.ph). Each party tray is good for 15 people. KAIN! P.S. 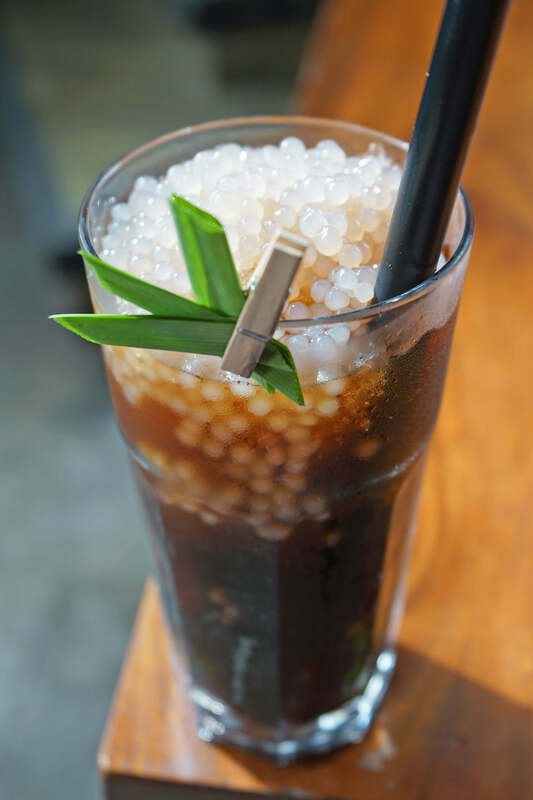 Don’t forget the refreshing-pandan Empacho’s Sago’t Gulaman (Php 90.00)! Hot Air Balloon Festival 2019: Bigger, Bolder, Better!